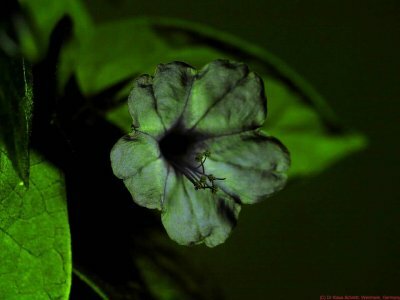 Today about a very interesting flower, Mirabilis jalapa. This flower, also called "four-a-clock" uses a very special technique to enhance the visibility to its pollinators, in that case hawkmoths, that are active when the light gets dimmer, i.e. in the late afternoon and evening hours (hence that name). I have presented that here on my BLOG already. 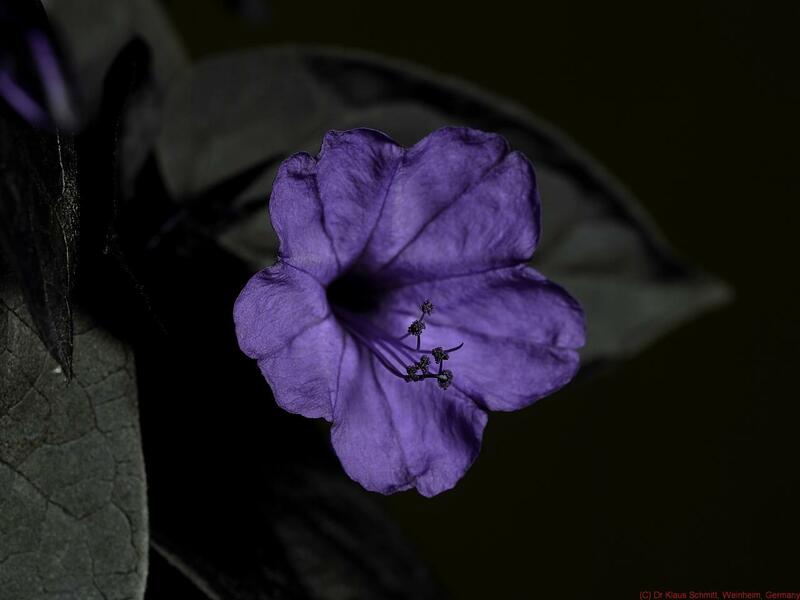 Here now how this flower looks like in reflected UV to other insects, able to see UV.